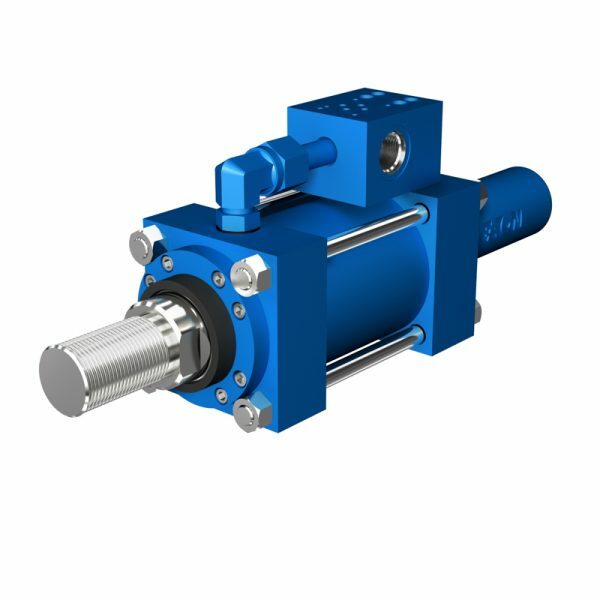 Power management company Eaton has announced the launch of a new electrohydraulic cylinder featuring valve integration. The new product comprises a high-performance industrial cylinder, precision feedback transducer and control valve in one package to create a single-source solution which offers significant cost savings over custom assemblies. Reduced setup time: Simplified plumbing and electrical connections, along with the programmability of the AxisPro® valve, eliminates repetitive set-ups. Eaton electrohydraulic cylinders are offered in NFPA tie rod, mill duty, welded or threaded styles, and are available with a range of mountings, bore sizes, and rod diameters. An Eaton proportional, servo, directional control or AxisPro valve can be mounted onto the configured cylinder and adjusted to customer specifications. For more information, please visit http://www.eaton.eu.